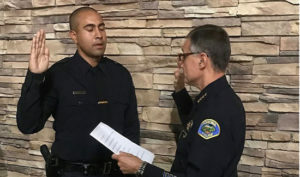 Authorities have identified, Isaias De Jesus Valencia, 39, as the suspect in the shooting that caused the death of one officer and the wounding of another in Pomona California recently. Valencia was apprehended Saturday after barricading himself in an apartment where he staged a standoff for more than 15 hours, authorities said. 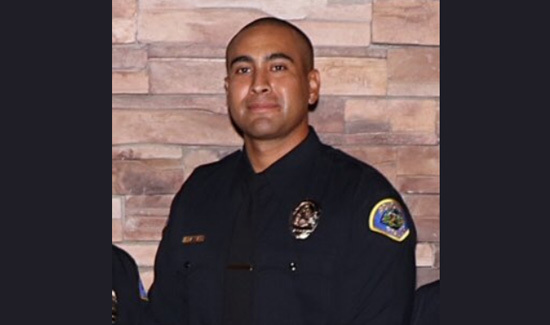 Pomona Police Officer Greggory Casillas, 30, of Upland, was killed. The other officer was undergoing surgery Saturday and was expected to recover, officials said. “He left his family at home to protect yours and his ultimate sacrifice will never be forgotten,” Pomona police Chief Michael Olivieri said at a news conference. “We are deeply moved by the love and support we have received from our law enforcement brothers and sisters, our community and people across the US during this difficult time. Our hearts are heavy as we mourn the loss of our brother, Officer Gregg Casillas,” read a tweet form the agency.